Intimidation, physical attacks, and undermining of the judiciary and the judicial system in Sri Lanka, is nothing new – more on that later – but it has taken an intensity, under the Mahinda Rajapakse regime, never before seen. If the government loses the three provincial council elections slated for September, it is so brazen that it will make a grab for dictatorial power to prevent or rig the parliamentary and presidential elections due in the coming years. Here are a few horror stories to give a flavour of how the dispensation of justice is being subverted. Nearly sixty-five years ago my father, then a young man, started his judicial career as the Magistrate of Mannar, a little peninsular tongue in the far north-west of this once fair island; the poor man must now be turning in his grave. Four days ago that very courthouse was surrounded by thugs and stoned, the current magistrate (Mr Judson) was threatened and intimidated, and the Rajapakse government moved heaven and earth to prevent the news going public and international. The evil genius behind the violence was a government Cabinet Minister. The Judicial Officers Association and the Bar Association have demanded that contempt of court proceedings be brought against the Minister and the Chief Justice has been asked to take a stand. Expecting the government or the CJ to do anything more than sweep the dirt under the carpet is, of course, just pie in the sky. Here is an extract from a report of the incident that appeared in a website which in turn was quoting from a statement of the Asian Human Rights Commission (AHRC). “(A) group of criminals, sponsored allegedly by a Minister, stoned and attacked the High Court and the Magistrate’s Court in Mannar yesterday, 18 July. According to reports received, a fishing Vadiya (landing area) was attacked by some people and on the basis of reports received the Magistrate directed the police to apprehend suspects. Thereafter the Minister is reported to have contacted the Magistrate with the view to influencing him to refrain from taking action. The Magistrate refused and insisted that the court order be executed. Thereafter a gang of thugs attacked the Magistrate’s Court and the High Court”. “The Minister sent his henchmen and hooligans to chant slogans against the Magistrate in a most vilifying and humiliating manner and staged protests in front of the Court. The Minister also instigated his ‘people’ to hurl stones at the Magistrate court where Judge Judson hears cases and the high court where Judge Diyanendran hears cases, whereby the courts were devastated. Later the police took 8 suspects into custody”. Many more and a multiplying crescendo of incidents undermining the judiciary are rampant. All however fall into a common pattern; the miscreants are always leading national or local strongmen of the ruling party. The main suspect in a recent case where over a dozen thugs raped a 13 year old girl was a UPFA (ruling-alliance) Councillor of the Tangalla Municipal Council; Tangalla is located in the deep-south and nestles in the Rajapakse political heartland. The girl’s family and witnesses have received death threats that when the prime suspect is released, as he inevitably will be – this is Sri Lanka ok – the entirety of family and neighbours will be eliminated. A brazen example of the ill-omened relationship between ruling party politicos and crime is the case of Julampitiye Amare wanted in connection with 24 murders. This person moves around freely and openly while the courts have been shouting themselves hoarse issuing arrest warrants. No policeman dare touch him because he gets protection from the highest places. “This is merely one among tens of thousands of cases where legal processes are flouted due to political influence”, the AHRC moans. Allegations of government politicos and Ministers working in cahoots with narcotics gangs are a dime a dozen and amply believed by a resigned public. Readers in India and Asian countries are familiar with brazen collaboration of local and middle level politicians with commercial criminals and party thugs, and acquainted with collusion between the police, gangs and drug lords. They would however be mistaken were they to presume that the breakdown of law and the administration of justice in Sri Lanka, is no more extraordinary than these familiar happenings. There are two differences that make the Lankan case perilous; in Lanka the deterioration is steadily worsening, it is systematic and fits a pattern of rising political authoritarianism. Secondly, the levers of power, sometimes evoking and sometimes concealing these transgressions, reach all the way to the highest citadels of power. I said at the beginning that the decline of the judiciary in Sri Lanka is not a new phenomenon. The Criminal Justice Commission (Justices HNG Fernando, AC Alles, VT Thamotherum, H Deheragoda and SD Wimalaratne) was set up by Mrs Bandaranaike’s government to try the leaders of the 1971 JVP Insurrection. It is common knowledge that the bloodlust of the state’s forces which reached its horrific zenith in 1989-90 (second JVP uprising) and 2008-09 (closing phase of the anti-LTTE war) had its origin in the post-1971 phase. 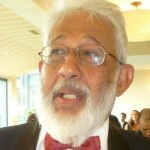 Unpardonably, the Bandaranaike government permitted the police to torture, brutalise, and kill with abandon, in the aftermath of the Insurrection, but what is not so well known is that the corrosion of the higher judiciary, culminating in its decline into a pliant instrument in the hands of the Executive today, had its origins in the CJC. The Commission made light from the bench of police brutality and extra-judicial murder, had no qualms in admitting confessions extracted under torture, and was dismissive of torture of JVP cadres and leaders while in custody. It is appropriate to be reminded of these habits of our judiciary, armed forces and police at this time. The next government, that of President J.R. Jayewardene, is also culpable of contributing to the decline of the judiciary. Two glaring incidents come to mind. 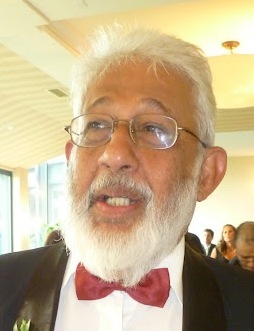 When a police officer was convicted and fined for obstructing the constitutional rights of a demonstration (the Vivienne Gunawardena case) the Justice Minister Lalith Athulathmudali intervened, paid the fine from government funds and promoted the officer just to show the ‘bloody judiciary’ where to get off. The second incident was when a mob surrounded the residence of the then Chief Justice and hurled abuse and pelted stones while the police stood idly by. The mob was orchestrated by Jayewardene and Athulathmudali. This is the background against which we have to cognize the behaviour of today’s Supreme Court which is expected to safeguard the Constitution from abuse and manipulation by the country’s Executive President. In its handling of the Eighteenth Amendment and a bill to take-over 23 companies at an accelerated pace, the Court sadly and comprehensively forfeited the trust of the public. It is the lower judiciary, sans leadership from the top judges, that is now fighting back against the decadence and kowtowing of the higher echelons before an authoritarian regime. What a sad and conspicuous difference from India and Pakistan; if anything in the latter, a hyperactive Supreme Court is resorting to unwarranted political activism; but this less pernicious than a kowtowing court. Very interesting that in this sweep across history delaing with the ills of the judiciary, Kumar David completely misses out the role played by Sarath Silva. Selective treatment or amnesia or what? Kumar David has not only missed out on Sarath N Silva, why what about Felix Dias Bandaranayake an epoch making character? Yes, this is a bland ‘analysis’ – if you can call it that. Just skimming over the issues and missing the most crucial game changers at that! In the gradual process of destruction of a once decent, vibrant and democratic society undermining -and, in various other ways, weakening the law and order process is a major aberration. In recent decades we saw this happening in Uganda, Zimbabwe and more recently in Pakistan – once relatively strong democracies, eventually tottering in major social unrest and chaos. In the Sri Lankan case, with the decline of the judicial system is the rise of the influence of the underworld. Dregs of society rule the roost in the governing process. A society whose leadership and its cohorts are encouraged to subvert the established safeguards of the law is doomed to collapse sooner than later – as ours shows signs of. If the law-justice and reason are to give way to political expediency to ensure the survival of the ruling clique that is surely the path to disaster. Judiciiary of SL needs a good beating for offering their Backside service to politicians for sake of favors for themselves and their children for so long. What the Law students have learnt and how its applied is upside down.